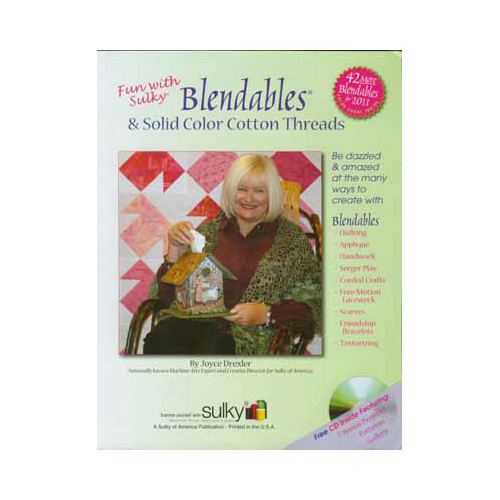 With the focus on Sulky Cotton Blendables and Sulky Solid Color Cottons which are exclusively sold to independent stores, this 104-page, full-color book is jam-packed full of ideas and techniques that will excite and motivate. AND… now there are a total of 126 magnificent Blendables in both 12 wt. and 30 wt.